NBI Properties is excited to welcome Dr. John Wight, an Orthopedic Veterinary Surgeon, to Fort Walton Beach! Wight is the owner of Veterinary Surgery Service, currently located in Orlando, FL, who is relocating his practice to Northwest Florida. Growing up in Central Florida, Wight returned to Orlando to complete his undergrad preparing for vet school after a tour in the United States Marine Corps. He moved to Gainesville, FL, for graduate studies at the University of Florida College of Veterinary Medicine. 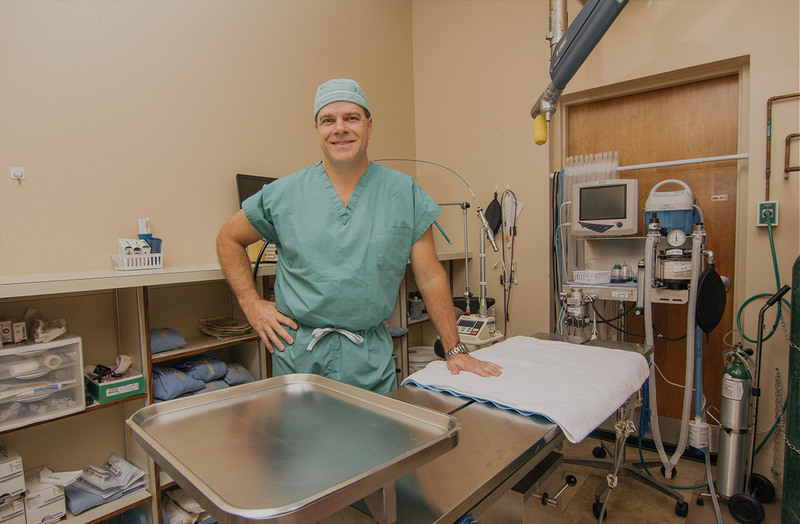 Graduating in May, 1995, Dr. Wight was selected for an internship in Small Animal Medicine and Surgery at Oklahoma State University in Stillwater, OK. After OSU, he returned to Orlando and entered private practice. Since 1999, Dr. Wight has been serving dozens of clinics as a relief veterinarian and a visiting surgeon. Five years ago, Dr. Wight and his wife, Shari, traveled to the area and fell in love with the beauty and the small-town feel of the Fort Walton Beach-Destin area. With three of his children graduated from college and the fourth a Junior, he decided this was the perfect time to relocate his veterinary surgeon practice to the beautiful beaches along the Emerald Coast, serving the Northwest Florida region from Pensacola to Panama City and providing high-end surgical and diagnostic capabilities to local veterinarians and clients. Veterinary Surgery Service will offer orthopedic, reconstructive, and soft-tissue surgery and uses advanced technology and equipment such as endoscopy, CT Scanning, and CO2 laser for most surgeries. The practice will include a state-of-the-art rehab center for surgeries, as well as an alternative to surgeries, for clients and local surgery veterinarians. As a Certified Canine Rehabilitation Therapist, he looks forward to providing these specialty services to the area and working with Melanie of 30A Swim Dog on canine rehab. The services he brings to the area will augment services provided by local veterinarians and surgeons. Wight is looking to hire locally for Veterinary Surgery Service and create several new jobs in the local area. He desires to hire skilled professionals and offer premium services to clients as soon as possible.